Brings the buzz to your bass. 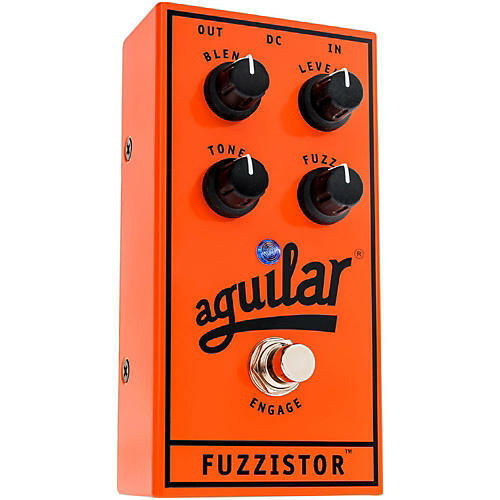 Delivering the deep and textured tone that Aguilar bass pedals are famous for, crank up the fuzz with the Fuzzistor and 1971 will be in the house. The Fuzzistor provides classic silicon transistor distortion with complete control over the BLEND of the clean and Fuzz sound, amount of FUZZ from subtle to crushing, LEVEL for gain matching, and TILT EQ that changes the harmonic structure of the Fuzz from booming to gnarly. Add this fuzz to your rig for some retro fun. Order today!